The good result needs proven equipment and people if we talk about unwanted hair reduction method. Forget about waxing, threading, tweezing and bleaching, because these are only temporary solutions. Laser Hair Removal in Delhi offers permanent hair removal treatment for the patient suffering from unwanted hairs. In laser treatment, a beam of light focuses on the targeted area that intensively goes through into the skin where it creates the specific amount of therapeutic heat and hair follicles present in melanin soak this light energy where the hair follicle diminished by this technique that is the reason for hair generation. However, it will not affect badly on the skin. This treatment needs 3-4 sessions for proper results. You will see the best results after each session because all the standards and parameters of the latest techniques are utilized. Choose the clinic that use latest technology to conduct laser hair elimination treatment. As it is already stated that a highly focused beam of light is soaked by pigment that helps to abolish needs sufficient number of hair follicles at a specific session. It depends skin to skin where one can see 15-20% hair removal in single sitting. Laser hair removal process is one of the best techniques recommended by dermatologist from all over the world. Moreover, it has already become the most secured cosmetic procedure and an effective technique for unwanted hair eradication. Every doctor who is aspiring to be clinical or cosmetic dermatologist practices this latest technique. However, the success of this treatment is absolutely rely on the skills and competence of the surgeon who is operating this treatment. Therefore, it is always emphasised to get this treatment through professional and experienced surgeons who follow all the standards and parameters related laser process. Don’t hesitate to inquire about the experience, license, certification of the clinic or doctor who is operating the laser treatment because background check of any surgeon related to this treatment is significant in fruitful treatment. This highly appreciated laser hair elimination needs vast year of experience and professionalism. It is not only eradicating unwanted hair, as this is a medical process that requires skills and expertise so that it can be done perfectly. Before choosing best Laser Hair Removal in Delhi, always cross check the authenticity and qualification of dermatologist, because he/she is the main surgeon that can do this procedure the . If you have made your mind to get laser hair reduction or elimination then it is advised you to avoid tweezing, waxing and electrolysis at least 45 days before treatment. Laser light focuses on hair follicles so patient should restrict your body from sunlight because direct sunlight can affect the successful treatment of laser. 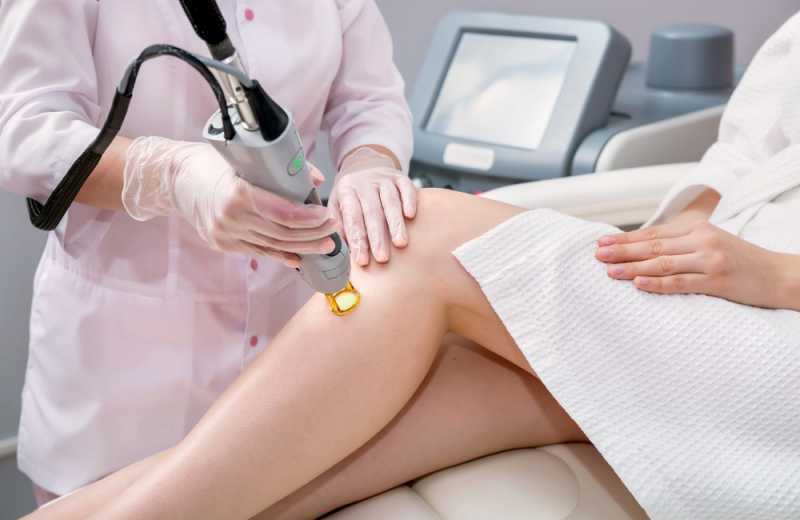 There are many concerns before opting for laser hair removal technique such as that whether the skin of patient is capable to suit the treatment, the treatment must be affordable and most important thing is that the surgeon, which is going to operate this process, should be well versed about the different nuances of this treatment.